I made this for quick picnic snack, for my vegeterian friends. Its a nice healthy option. Now add Salt, turmeric powder and red chili powder. Cook for 1 minute and then add crumbled paneer. Let it cook until Oil gets separated. I made this as a picnic snack, to make a hot paneer wrap take a roti, spread pickle masala and add Paneer. Roll them and pack them in individual foil covers and serve. 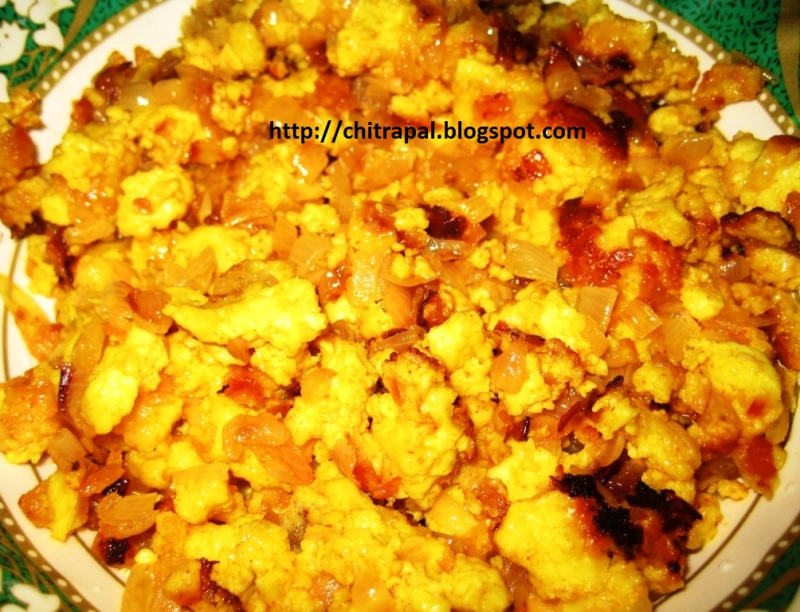 paneer bhurji without tomatoes can never think of? and wht abt garnishing??? i think ur reciepe is incomplete! !